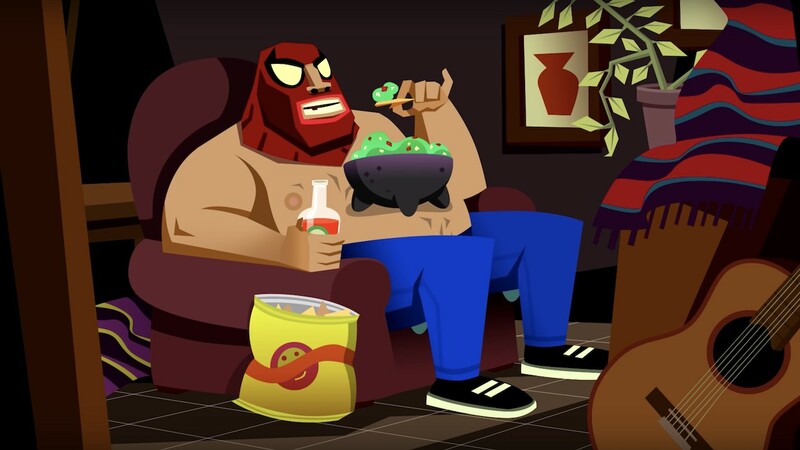 DrinkBox Studios has announced that Shirtless Arachnid Person and his trusty sidekick Portillo will be added to Guacamelee! 2 as free downloadable content. The news was shared in the Kinda Funny Games Showcase, and is a playful nod to Greg Miller (as Shirtless Spider-Man) and his pet dachshund. Now available for free on PlayStation 4 and Steam, it will soon be making its way to Nintendo Switch and Xbox One. To unlock the content, you will need to enter the rolling code in the Costume Menu: down, down, up, up, right, left, right, left, up, left. Guacamelee! 2 is now available on the Nintendo eShop for Nintendo Switch worldwide.